With the London streets and parks filled with runners getting in last minute training ahead of the London Marathon on 24th April, the launch of the Look Mate London City Runners 6K Edition sock is very timely. 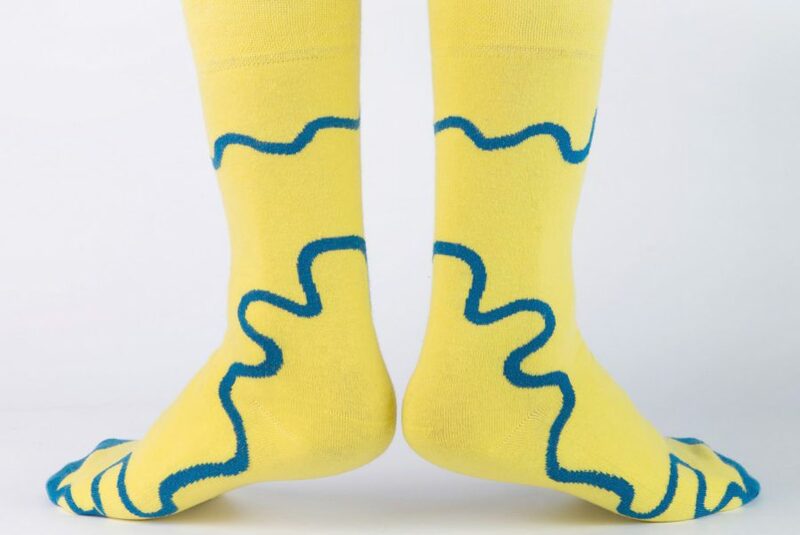 Crafted from the finest bright yellow combed cotton available and designed to a high standard, this sock will see marathon runners right through to the finish line. 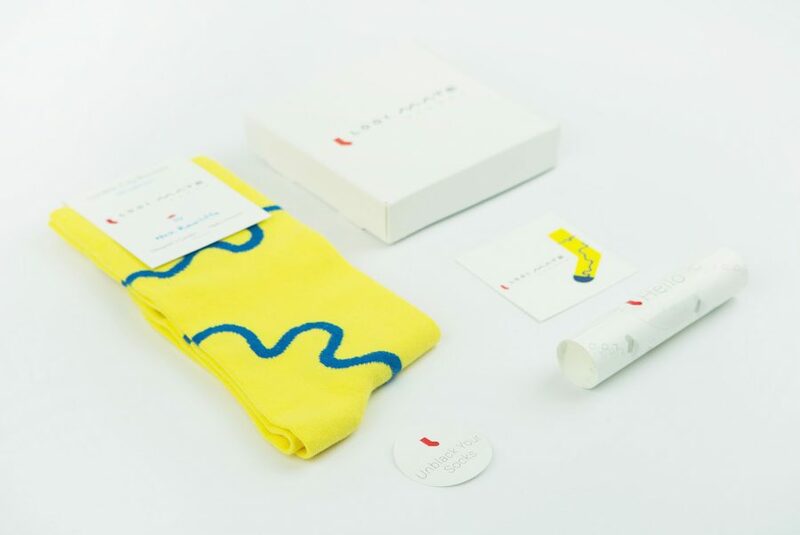 The sock was the result of a collaboration between Look Mate’s founder, Vahan Hovhannisyan, a keen runner himself and a conversation with a fellow London City Runners club member, the designer, inventor, engineer and innovator Nick Rawcliffe. The idea was to create a sock with an urban runner in mind. Their goal was to engineer a sock that would be ideal to wear with a suit during the day and then wearers could take it out for a run after work. Nick specalises in designing objects where sustainability and design blend together. He plays with ideas, innovation and different, cool materials with his “thinking through making” approach and therefore was the perfect collaboration partner. 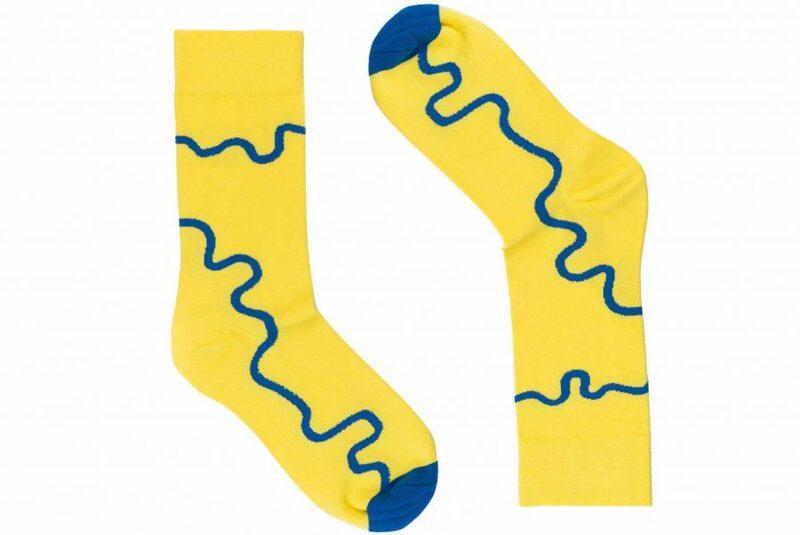 The result – the London City Runners 6K Edition Sock. Look Mate works with designers from all creative walks of life such as furniture designers to visual artists, each of whom have crafted a sock design to embody their own individual themes and personality. Each month Look Mate release a new design collaboration and to date they have worked with names such as such as designer Daniel Triendl, creative David Harutyunyan, the Spanish illustration duo Cachete Jack, art director and graphic designer, Daniel Forer, illustrators Gabriela Del Velle and Louise Lockhart and industrial designer and engineer Nick Rawcliffe. 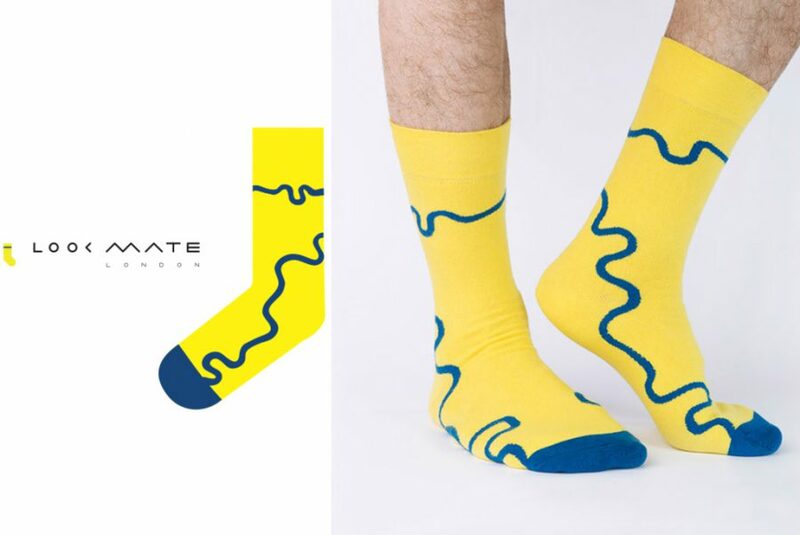 Aimed at both commuters and urban runners seeking a versatile, eye-catching sock for everyday wear, when the wearer steps out in their Look Mate sock, they will be sporting a special collaboration with a talented designer unlike any other. Every pair of socks is produced to high standards of craftsmanship by a father-daughter team in Vahan’s hometown in Armenia and the socks are tested time and time again until perfection is reached. In any pair of Look Mate socks, from the bold London City Runners 6K Edition socks or to the latest Jungle Fever or Red Nord Indian Snake designs, your feet are guaranteed to draw attention. Testament to the founders’ original philosophy, customers are making a conscious expression when they choose and wear a pair of Look Mate socks. Look Mate socks are priced at £10 per pair. To view and purchase the Nick Rawcliffe design and the latest collaborations visit their e-commerce store.